Just in time for World Malaria Day, April 25, a team of China-based scientists have delivered some very good news. They have created a genetically modified herb that can produce high levels of a key antimalarial, promising to slash the price and boost the world’s supply of much-needed antimalarial drugs. Artemisinin is a potent antimalarial naturally produced by the aromatic herb Artemisia annua, also known as sweet wormwood. The compound is used as the main “ingredient” for numerous antimalarial drugs, including Artemether, Artesunate, Artemotil, and Dihydroartemisinin. However, only tiny amounts of the compound are naturally found within the plant, so it’s not unusual for these drugs to fall short of global demand. As reported in the journal Molecular Plant, scientists have now managed to pinpoint the genes responsible for making artemisinin. They then tweaked these genes to create plants that produce three times more artemisinin than normal. Typically, artemisinin makes up about 0.1 to 1 percent of the plant’s dry weight. In the GM shrub, it makes up 3.2 percent of the dry weight. "Nearly half of the world's population is at risk of malaria," senior study author Kexuan Tang of Shanghai Jiao Tong University said in a statement. “Our strategy for the large-scale production of artemisinin will meet the increasing demand for this medicinal compound and help address this global health problem." Malaria affects around 216 million people each year and causes an estimated 445,000 deaths annually. It’s caused by a number of different single-celled parasites, the most prevalent of which is Plasmodium falciparum, transmitted by Anopheles mosquitos. In the early 1970s, Chinese scientist Youyou Tu first showed how artemisinin could be used to fight the malaria-causing parasite, for which she was later awarded the 2015 Nobel Prize for Medicine. Scientists have attempted to increase the yield of artemisinin many times in the past, but they never had enough of the plant's genetic data to work with. To conquer that problem, the researchers had to sequence the plant's full genome for the very first time, creating a map of its 63,226 protein-coding genes. Following their hard work, the researchers say their GM super-herbs are now ready for large-scale production and will help meet the challenge of increasing global demand of artemisinin. 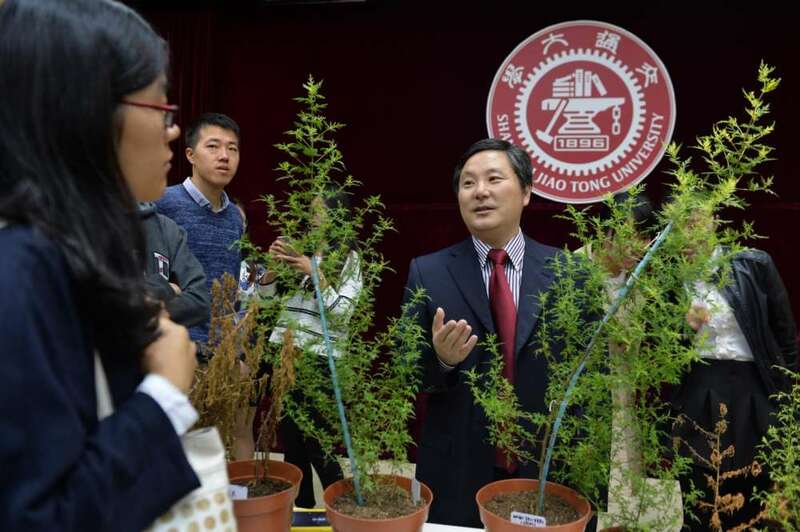 "It is not expensive to generate high-level artemisinin lines," Tang added. "We have propagated hundreds of high artemisinin producer lines via cutting and selection, and scaled up the production of these plants. Hopefully, our high artemisinin transgenic lines will be grown at a massive scale next year."